With traditional elements of sophistication and equally alluring sparkle factors, this Apples of Ring is an instant hit. 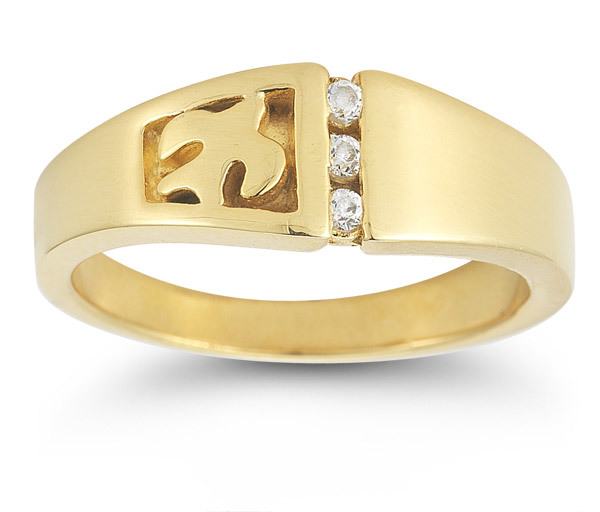 Cast of high quality 14K yellow gold, the ring shows off its classic side with a golden hue. The band is specially designed to highlight the Christian dove that's carved into the band, just off center for added interest. The trinity of cubic zirconia gemstones makes for a brilliant addition to this already alluring piece of jewelry. We guarantee our Christian Dove CZ Trinity Ring in 14K Yellow Gold to be high quality, authentic jewelry, as described above.